Stem Cell Biology, Myogenesis, Satellite Cells, Molecular Biology, Transcriptional Regulation, Transcriptional Networks, Gene Expression, Signal Transduction, Differentiation, Molecular Genetics. 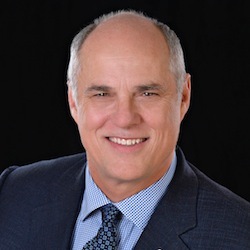 Dr. Michael Rudnicki is a Senior Scientist and the Director of the Regenerative Medicine Program and the Sprott Centre for Stem Cell Research at the Ottawa Hospital Research Institute. He is Professor in the Department of Medicine at the University of Ottawa. Dr. Rudnicki is the Scientific Director of the Canadian Stem Cell Network. Dr. Rudnicki is an Officer of the Order of Canada, a Fellow of the Royal Society of Canada, and holds the Canada Research Chair in Molecular Genetics. He is an Associate Editor of Cell Stem Cell and the Journal of Cell Biology, and is Co-Editor in Chief of Skeletal Muscle. He has organized international research conferences as one of the founding directors of the Society for Muscle Biology. Seale, P., Sabourin, L.A., Girgis-Gabardo, A., Mansouri, A., Gruss, P., and Rudnicki, M.A. (2000). Pax7 is required for the specification of myogenic satellite cells. Cell 102:777-786. Kuang, S., Kuroda, K., Le Grand, F., and Rudnicki, M.A. (2007). Asymmetric self-renewal and commitment of satellite stem cells in muscle. Cell 129:999-1010. Le Grand, F., Jones, A.E., Seale, V., Scime, A., and Rudnicki, M.A. (2009). Wnt7a activates the planar cell polarity pathway to drive the symmetric expansion of satellite stem cells. Cell Stem Cell 4:535-547. Yin, H., Pasut, A., Soleimani, V.D., Bentzinger, C.F., Antoun, G., Thorn, S., Seale, P., Fernando, P., van Ijcken, W., Grosveld, F., Dekemp, R.A., Boushel, R., Harper, M.E., and Rudnicki, M.A. (2013). MicroRNA-133 controls brown adipose determination in skeletal muscle satellite cells by targeting Prdm16. Cell Metabolism17:210-224. Price, F.D., von Maltzahn, J., Bentzinger, C.F., Dumont, N.A., Yin, H., Chang, N.C., Wilson, D.H, Frenette, J., and Rudnicki, M.A. (2014). Inhibition of JAK/STAT signaling stimulates adult satellite cell function. Nature Medicine doi: 10.1038/nm.3655. [Epub ahead of print].